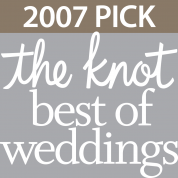 The WeddingWire Bride’s Choice Awards ™ recognizes the top local wedding professionals from the WeddingWire Network that demonstrate excellence in quality, service, responsiveness, and professionalism. 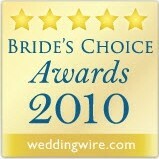 Unlike other awards in which winners are selected by the organization, the Bride’s Choice Awards are determined by recent reviews and extensive surveys from over 500,000 newlyweds. This year’s winners represent the top five percent of WeddingWire’s vendor community. Pro Motion Entertainment has been honored to win Multiple Awards over the years.